Oh Hello! I am up on the Paper Issues blog today. 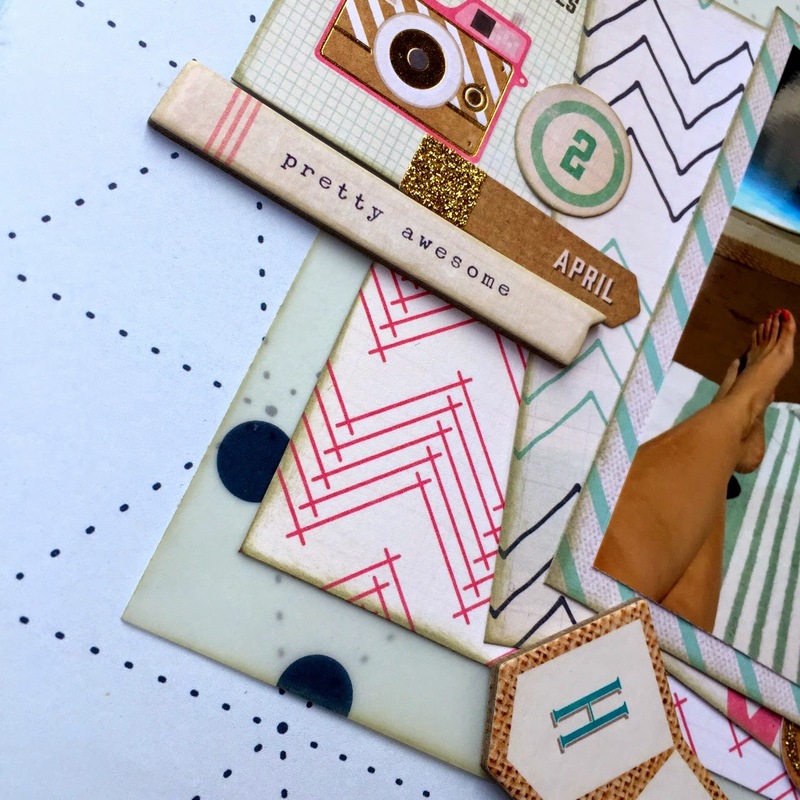 I created this fun little bit to share today inspired by the current linky party Prints Charming. You know how sometimes you feel like you use the same things over and over on your pages? Well, I've been branching out and trying new things. Especially paper. And embellishments. Especially ephemera. I recently bought several pieces of the new Crate Paper Craft Market line. I snapped a silly photo of my son and I on our vacation last week. We were laying in the lounge chairs by the pool at night, but neither of us wanted to go in the water. We decided we were "moon bathing". The colors and patterns in these papers are awesome! I love using a subtle print as a background like I did with the 'Stiching' paper. Especially the doodled papers! I cut several and layered 'em up! The gold foil AND glitter die cuts always put a smile on my face. Can you say shiny, happy goodness? 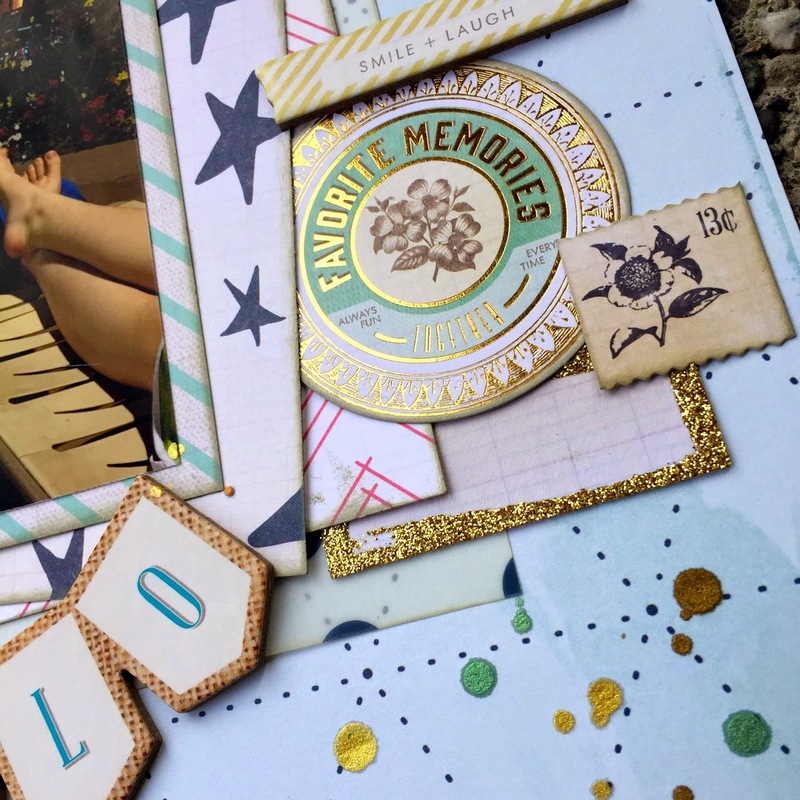 I grabbed a few different ephemera pieces and layered those up as well. See the glitter? Oh yeah, and that chipboard sticker sheet? Super cool way to add some extra pop to the page! Well, there you have it. A silly photo + new stuff to play with = happiness all the way around. You can find all of these items in the Paper Issues shop. Use code BEACHGAL for 20% off your order.